February is finally here - and what's that? It's arrived just in time for the very first Nintendo Download update of the month? What fortuitous timing! This week's big update includes a ton of new games for the Nintendo Switch-based eShop, as well as a slew of titles for the Wii U eShop and some fresh content on the 3DS one! Today, we've got an indie hit that takes an anthropomorphic trip down to some mysterious woods, a modern take on the classic shmup template, the Switch version of a robo digging gem, some ACA Neo Geo throwbacks and a handheld flight simulator. Time to fill your boots! Dandara (Long Hat House, $11.99) - Welcome to a unique 2D platformer full of mystical creatures and boundless exploration. Defy gravity as you jump across floors, walls and ceilings alike. Discover the mysteries and secrets hidden throughout the world of Salt and its diverse array of characters. Empower Dandara for combat and survival against enemies bent on oppression. Dandara will be available on Feb. 6. Sky Force Reloaded (Infinite Dreams, $9.99) - Sky Force Reloaded is the spirit of the classic arcade shoot ‘em ups, captured with modern visuals and design. New entry in the series will keep you entertained with all the things you’ve came to love in scrolling shooters. 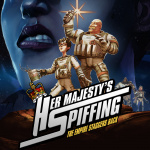 Meaty explosions, incinerating lasers, colossal bosses and diverse aircrafts to pilot. Read our review. 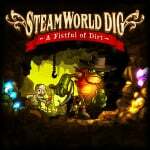 SteamWorld Dig (Image & Form, $9.99) - SteamWorld Dig is a platform mining adventure with strong Metroidvanian influences. Take the role of Rusty, a lone mining steambot, as he arrives at an old mining town in great need. Dig your way through the old earth, gaining riches while uncovering the ancient threat that lurks below... Read our review. 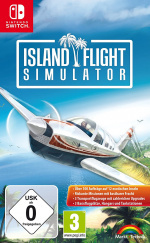 Island Flight Simulator (Caipirinha Games, $19.99) - Enjoy fantastic open-ended gameplay, touch down in the tropics and transport freight between twelve exotic islands in more than a hundred exciting missions. Only the most daring pilots will take the risk of accepting both highly lucrative and illegal missions from shifty clients. 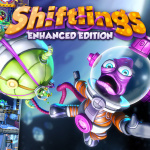 Shiftlings - Enhanced Edition (Rock Pockets, $11.25) - Shiftlings is a colorful puzzle platformer with a twist! You're controlling two quirky custodians who are tethered together; one large and one small. Play alone or work together with a friend to run, bounce and swap size through 55 challenging levels. 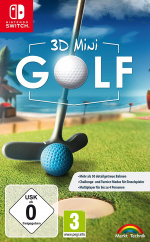 3D MiniGolf (Joindots, $19.99) - Experience virtual but realistic mini-golf and master an entertaining match on over 54 challenging holes, 18 of which faithfully modelled after official courses in the real world. ACA NEOGEO SAMURAI SHODOWN II (HAMSTER, $7.99) - The game features 12 swordmasters, each with their own unique personality. They will battle it out among each other before taking on Shiro Tokisada Amakusa in the game's climax. One of the unique characteristics of this game is the Rage Gauge which fills up as the player takes damage. Once that gauge is full the character's attacks do more damage, keeping the battles tense and exciting. Read our review. 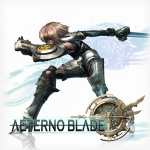 AeternoBlade (Corecell Technology, $14.99) - In the region of Awelsia, vengeful Freyja travels with an unknown weapon called 'AeternoBlade'. Freyja looks to take revenge on Beladim, the Lord of the Mist who destroyed her village, Ridgerode, and killed her tribe. Her vengeance is helped by Vernia, who has as much merit as Beladim. Vernia taught Freya about the abilities of AeternoBlade. Freya has to venture into many different world dimensions to discover how to annihilate Beladim. 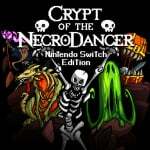 Crypt Of The NecroDancer: Nintendo Switch Edition (Brace Yourself Games, $19.99) - Can you survive this deadly dungeon of dance, slay the NecroDancer, and recapture your still beating heart? Or will you be a slave to the rhythm for all eternity? 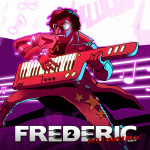 Frederic 2: Evil Strikes Back (Forever Entertainment, $4.99) - Defeat famous opponents in musical duels. Immense yourself in fantastic story of Frederic's endeavors. Catch all the Easter Eggs and subtle parodies hidden in the background. Practice your skills until perfection and become the Master of the Piano. 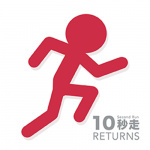 10 Second Run RETURNS (Blue Print, $6.54) - The legendary action game, "10 Second Run" is back! The rules (and controls) are simple: "Move Sideways" and "Jump & Dash" to get to the finish line in under 10 seconds! Toon War (Lemondo Games, $9.99) - Your mission is to liberate peaceful villages from evil forces, eliminate enemies and win over dangerous bosses. Play as a military vehicle or a drone and play in different types of worlds, including snow, water and air landscapes. 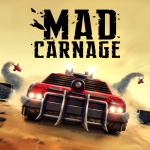 Enjoy the various set of gameplay as you win the boss fights playing regular, runner, and survival modes. NECROMANCER (Konami, $5.99) - Necromancer is a horror RPG released for the TurboGrafx-16 in 1988. You are a hero who heads out on an adventure with two other allies in order to search for the Evil Holy Sword "Necromancer" to defeat an evil force that is about to take over the Kingdom of Ishmaelia. Battle Chopper (Konami, $5.99) - Fly through each stage and destroy enemies in your path. Shoot the "bricks" located throughout each stage, to reveal crystals. Pick-up the crystals to get money for different weapons and power-ups. Spend wisely! A boss awaits you at the end of each stage. Defeat the boss to move on to the next stage. Now I Know My ABCs 2 (Skunk Software, $8.99) - Now I know my ABCs 2, is a fun and interactive way to learn the alphabet. You're shown step-by-step how to write each letter. Your goal is to write every letter in both lowercase and uppercase. After you complete writing each letter a cool animation plays, giving positive reinforcement to help encourage the learning of even more letters! For New 3DS systems only. Summoning Focus: One-Year-Anniversary Hero Fest, from Feb. 1 at 11 p.m. PT to Feb. 8 at 10:59 p.m. PT. To celebrate the one-year anniversary of Fire Emblem Heroes, four dependable Heroes are part of a 5-star summoning focus. Also, the initial summoning rate for 5-star Focus Heroes will be set to 5%. For new summoning events, the first time you summon, you won’t have to use Orbs. Check it out from the Summon menu. One-Year-Anniversary Present, from Feb. 1 at 11 p.m. PT to March 7 at 10:59 p.m. PT. During this time, anyone who logs in can receive 50 Orbs, one time only. One-Year-Anniversary Celebration Log-In Bonus, from Feb. 1 at 11 p.m. PT to Feb. 16 at 10:59 p.m. PT. During this time, you can receive a Log-In Bonus up to 10 times, for a total of 20 Orbs. Daily Special Maps, Feb. 1 at 11 p.m. PT to Feb. 25 at 11 p.m. PT. Daily Special Maps will be sent out every day for 25 days. There are two difficulties for each: Normal and Hard. You can earn up to 50 Orbs by playing. Double EXP and SP Event, Feb. 1 at 11 p.m. PT to Feb. 8 at 10:59 p.m. PT. During this time, the EXP and SP you earn in battle will be doubled. A Hero Rises – Now that the Choose Your Legends event is over, it’s time to decide who the No. 1 Hero is in all of Fire Emblem Heroes. Get ready for a new event, A Hero Rises, which runs from Feb. 1 at 7 p.m. PT to Feb. 19 at 6:59 p.m. PT. The top Hero will be given to players as a 5-star unit at a later date. Check out the voting website, and choose your favorite Hero. Illusory Dungeon – A new event, Tap Battle: Illusory Dungeon, will be here, with the Labyrinth of Mists. The event runs from Feb. 8 at 11 p.m. PT to Feb. 22 at 10:59 p.m. PT. Illusory Dungeon is a simple battle game in which you time your taps on the screen to defeat enemies. You can even use Heroes who have not yet been leveled up, so feel free to choose your four favorite Heroes. During this time there will also be daily quests where you can earn different rewards each day. Starting on Feb. 11 at 11 p.m. PT, there will be two types of Tap Battle quests. My Nintendo is offering a cute Super Mario: Pastel Pink Nintendo 3DS HOME Menu theme. You can redeem points for the reward up to five times, so you can share it with someone special. The offer ends on March 31 at 11:59 p.m. PT. February is shaping up to be a great month for classic Nintendo game fans. Three beloved Nintendo 3DS games – Super Mario 3D Land, The Legend Of Zelda: A Link Between Worlds and Ultimate NES Remix – have just been added to the Nintendo Selects series. To celebrate, My Nintendo is offering the official Prima eGuide for The Legend of Zelda: A Link Between Worlds. Redeem your points and get the eGuide to maximize your adventure. My Nintendo is also offering discounts for some awesome games, including certain Nintendo Selects games. Redeem your points and get discounts for games at great values – many participating titles are under $18. Not a My Nintendo member? Sign up now for free at my.nintendo.com. So there are today's big (and small) hitters arriving on the Switch, Wii U and 3DS eShops. Let us know which ones you're picking up this week! Night in the Woods for me! This one looks to be quite the original adventure. Dandara pre loaded and waiting! Why is Konami wasting time on TG games for WiiU - I would have gladly bought some ACA - style releases on Switch. I am looking now but I don't think Necromancer was ever released in English. Now I Know My ABC's 2 is hype! Steamworld Dig for me. I have it elsewhere but I have yet to finish it. I’ll hopefully get through it this time so I can play the sequel. Nothing for me. Night in the Woods has been well-received on other platforms, but it doesn't look like my sort of game. Crypt of the Necrodancer goes on sale for literally $2 and some change on a nearly weekly basis for PS4 and Vita. Selling it for $20 on Switch is an awful deal. It’s 90% more expensive! Yikes. Anyways, Night in the Woods and maybe Dandara for me. Woot. 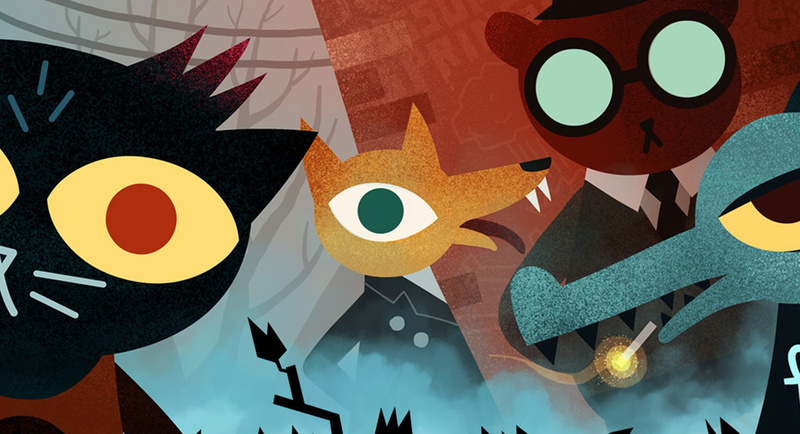 Night in the Woods, Dandara, and the Darkside Detective all look solid. I'll probably preorder Dandara since it's on a discount and wait on the others. For anyone who has yet to play them, Night in the Woods and Crypt of the Necrodancer are essential. Even if you don't like roguelikes, you should give Crypt a chance as it is a very unique spin on the genre and has an outstanding soundtrack. I'll happily be purchasing both of these again. why a max of 3? nlife restricting our purchase choices! will checkout the Historia Demo - was looking at the LE on amazon. nothing else really - March will be an expensive month, save the cash. Was it Tom who used to do these eShop articles? I kinda miss how a few games would be enthusiastically exclaimed in the subheading. "Pokkén DLC! Steamworld! More NeoGeo Classics!" Night in the Woods, baby! Really fired up for this one. Skyforce, Mad Carnage, and Murkenburry Kangs for me. I'll grab Dig and Dandara on sale down the line. The 3DS software From Skunk software. Now isn't that a clue, that it will stinks? Why do I make stupid decisions? Night in the Woods for me! Any word on physical release? I don’t want to get screwed when one happens. Edit: NitW file size is huge. Definitely waiting to see if physical is announced. I want sky force reloaded... but I dunno. 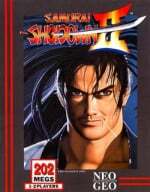 I'm for sure getting Samurai Shodown II. NintendoLife, would it be possible to link each game to their corresponding eShop page, where applicable? That'd be a great way to see more info on each game, specially when your own page has no info on them, like Dandara right now. Still waiting for Hamster to fix last week's Kid Nikki release. Primarily because it's not Kid Nikki, it's the Japanese version. Different title, Japanese characters in the countdown bubble. Because that's helpful. I wrote their Customer Support people last Friday, no reply. Holding off on the Hamster ports for now. Nothing for me. Just waiting for Bayonetta 1n2 it seems. Wow! Another big batch of Switch games!! @thesilverbrick It's well worth it. Dig is a great game, and Dig 2 is even better! Night in the Woods is a fascinating game about a Hillary Clinton adventure after the 2016 Elections. 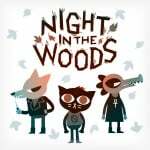 Is night in the woods spiritistic or just weird? Night in The Woods as soon as I get home! Definitely double dipping, one of my favourites of last year! @thesilverbrick SteamWorld Dig for me, too, but not exactly. I held off on buying 2 in case 1 came to Switch, and in the time since then I've seen other games I downloaded announce physical editions, so now I'm holding off on both in case they join those ranks. @SimplyCinnamon53 Kind of existential, and emotional, I highly recommend it. Weird in a good way. Any word on any other ACA Games that arent NeoGeo? I want some Punch-Out!! in my life. Just the Radiant Historia demo for me. @JimmySpades Is a physical edition rumored? If so, I’ll hold off, too. Love me some game cases. $15 for Aeternoblade....good luck with that. Wait until it drops to $3 in a few months. Thanks for the heads-up! I was going to buy it along with Samurai Showdown II this weekend. I'll wait until it is remedied then. Yeah we need a VC on Switch soon. I'll probably buy these TG16 games to add to the collection anyway though. I don't know what I'll do if my Wii-U ever stops working. I have almost 300 Virtual Console/Wiiware/Eshop games on it. @thesilverbrick For 2 Image and Form have said they're looking into physical because SteamWorld Collection did well for them. So we can hope for SteamWorld Collection Ultimate or something like that. 10 Second Run Returned actually came out a week ago, just wasn't mentioned at all. Can we expect reviews of Toon War and Jolt Family Robot Racer? I'd like to know if these late entries to the Wii U catalog are any good. So, where is the european list of this week's releases and sales? Night in the Woods looks really intriguing! I've also been on the fence about double dipping on Radiant Historia since I already own the DS version. Hopefully the demo will help me decide! Pokémon DLC and the Radiant Historia demo for me! 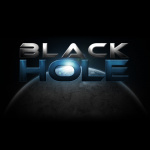 @nukatha If we manage to get hold of review codes, we'll certainly try! If possible, play Dig, Dig2, and then Heist... in that order. @4stringsteve yes... Amazon. I really hope it does come back, thanks! I jumped the gun and cancelled because I have Bayonetta and OwlBoy on the horizon but... Radiant looks so good! I have to get that. @holygeez03 That’s the order I was planning on, but glad to know it’s the best method. Thanks! @JimmySpades I’ll hold off a bit, then. Thanks for the heads-up! @imgrowinglegs Dude I've been complaining about this since day one. It's ludicrous. Just because the game is new to the system doesn't make it new. This is a very bad precedence to set... just slap a "Switch Edition" on the title and they think they are good to go. I'll probably get Dandara... as far as I can tell it's a Switch exclusive... could be wrong though. For being a port of a 4-year old eShop title, Aeternal Blade should had been under $5, no reason why it should be $15 at this point. Earth Wars (Earth's Dawn) was an overall better game and it's only $4.50 despite being a one year old port and cost 30% higher on the other platforms. Pricing isn't really based on those things. If they really HAD to sell it for $5, they might not have decided to port it at all, and then nobody would be any better off. Aside from that, the method nowadays is to release high, to have some leverage during sales, and to adjust down according to popularity, so you might get your wish soon enough. I too wonder about Necromancer. It's an RPG (possibly the TurboGrafx' first one) that was never translated, so unless Konami translated it, it's an odd choice. @youkoaoshi I looked at the screenshots earlier on the European Wii U eShop and it was the first thing I noticed. Japanese text. Why would they do that? I'm sooo happy that Night in the Woods is finally on the Switch The weather is very wintry where I live. It perfectly matches the gloomy atmosphere in this game. A good excuse to stay inside, to curl up into my comfy chair and loose myself in the story and the characters. 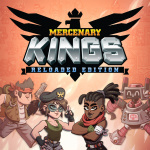 I had no idea Mercenary Kings was coming to Switch. I really liked that game on Steam. Definitely getting that. Had my eye on Dandara for a long time but I could find no real info about it except that it was some kind of Metroidvania. I liked the main character design so I wanted to support that title. 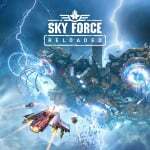 Sky Force is a distant third that will definitely go on the wishlist. Nothing else here interests me right now. I was actually going to say the same thing. Not only has the subheading gotten a lot less enthusiastic but the descriptions feel less enthusiastic too. Every game that already has a review just shows a hyperlink saying “Read our Review” as opposed to the old style of varying comments such as “we very much liked this game in our review” or “See how we felt about it in our review”. The whole thing just feels like it has less personality in general. I mean, I can’t complain too much because all the important info is still there and it’s just as easily digestible as ever (and I started reading these to begin with because they were much cleaner to read than Nintendo’s eshop press release) but something just feels off somehow. I’m not sure if it is a different writer or not. While I’m on the topic, I also truly miss the old days when these topics would also cover all the new games that are on sale but my understanding is that Nintendo made you stop doing that? I never fully understood why (when you did that I felt it helped bring more attention to those games then they would have gotten) but if you were required to stop, I understand why you did. I don’t mean to sound like i’m Just complaining since I continue to find this topics very helpful but I just wanted to add my feels on this especially when I saw I wasn’t alone. Dandara has been on preorder since it went live, just snagged Sky Force Reloaded, and i'll be loading the funds for Mercenary Kings tomorrow. Christ, that's gonna bring the game count to 120. Haven't even finished 10% of them lol. I need a support group. @Pod It's a bummer then, it's a mediocre game but still a good time killer for a portable title so I figure had it dropped to $5 would had help. I did try the demo on 3DS but it wasn't tempting enough for me to throw in the $15. Kinda sad that the sequel would never see the light of days. I am done with My Nintendo. It grinds my gears that the coins expire, especially the gold ones that come from spending money. I keep losing them because there is nothing to spend them on. It's always the same cycle of old 3DS, eShop, and VC games. And Wii U games. How long does it take to add some Switch rewards? Not that it will matter, because most of us will have already purchased the older titles they will put on discount. I'm just going to stop redeeming them from all the retail games. Sigh. I wish they'd bring back Club Nintendo. Again no VC for 3ds. @tebunker Why do you want to cut Wii U owners off completely? @SLIGEACH_EIRE Really? So now it's officially a weird choice.....I was thinking on buying the original for my Duo and muddling through but as an official release? Just odd. There's only one proper choice for me, Samsho II! Radiant Historia demo for me! @JayJ I noticed that, too. The Men of Yoshiwara: Kikuya is missing in the post and it just popped up today as well. @Crono1973 you're kidding right? Sorry dude, its a dead and unsupported platform. It is just odd for them to keep releasing stuff on it, specifically untranslated esoteric TG16 japanese rpgs. It doesn't even make good business sense. I mean why don't we still support Ouya, or the original DS etc etc. there comes a time where everyone has to move on. For the WiiU it was like 2014. 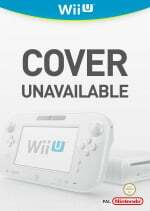 @tebunker You wanted them to drop support for the Wii U in 2014, 3 years before the release of it's successor. Well, now I know not to take you seriously. Does anyone know if $15 for Ace Attorney Spirit of Justice on 3ds is a good deal, or has the game been on sale for lower? Same question for Apollo Justice. I beat the First Trilogy of games and liked them lots. If it's sufficiently tempting for enough other people at the $15 pricepoint on Switch, a sequel could still happen. Let's assume they set the price where they do because they'd like to have the money for developing new things. Looks like there's a stinker in this week's 3DS lineup. @Dom 10 Second Run isn't an option on the poll. Seriously, can someone at NL (or someone brave enough to risk $5.99) check if Necromancer is in English? There's no mention of language on the official eShop page description, nor any screenshots that show text. It's all quite sketchy if you ask me... especially since the Wii Shop was always very up front about import games containing Japanese text and the like. That said, if it is in English, that would be huuuuuuge. Why is there no "nothing for me" option? @mikegamer Buy or die. Dom is coming for you if you don't get something this week. I know I'm the only person who's going to ask you, but are you guys going to review Toon War or Jolt Family Robot Racer? So just to confirm, Necromancer is NOT localized? on Wii U N64 VC Games, Retail Gamecube games, and 2 steam games. 5 really awesome indie games that I already own...and one that I don't! 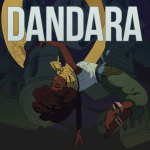 I'll be interested in seeing how Dandara holds up. @Stargazer I'm glad they have a demo. I was intrigued by the description but when I played it, I was not impressed. A $3 game it is. @rdrunner1178 No prob, I hope they fix it. I miss the localized US text. Currently, instead of 'Atta Boy!' it says something like, 'Aha. You did that very well". Hilarious, but not radical. "This RPG is Japanese only and requires proficiency in the Japanese language to play." So there you go. Still, probably better this gets put more up front, don't you think? @youkoaoshi Kotaku says Necormancer for Wii U is fully untranslated and text heavy. Hey looks like we got The Men of Yoshiwara: Kikuya too! Come one ppl, Dandara, Mercenary Kings and Crypt of Necromancer are/look like great titles.